The World Trade organization (WTO) meeting started on 15 December in Kenya’s capital Nairobi with members pitching for resolution of important issues like agriculture of the long-stalled Doha Round. Chair of the 10th WTO Ministerial Conference and Kenya’s Cabinet Secretary for Foreign Affairs and Trade Amina Mohamed said that the core issues which have been under negotiation as part of the Doha Round are important. She expressed hope that all WTO Members will be able to come together and map a way forward for the WTO. India and several other developing countries want developed countries to reduce their farm subsidies and provide a tool, special safeguard mechanism (SSM), to protect poor farmers of developing nations from sudden surge in imports or dip in global prices. India too is continuously pitching for conclusion of the pending issues of the Doha Round like providing Special Safeguard Mechanism (SSM) to developing nations to protect the interest of poor farmers. The WTO is an international intergovernmental organization dealing with the formulation and implementation of international trade rules. It also deals with the arbitration of trade disputes between its Members. The WTO has the Objectives of raising the standards of living for Members, ensuring full employment, large and steadily growing volume of real income and effective demand, expanding the production of and trade in goods and services, while allowing for the optimal use of the world’s resources and seeks to both protect and preserve the environment and to enhance the means for doing so in a manner consistent with Members respective needs and concerns at different levels of economic development. The business of the WTO is conducted through the Ministerial Conference, which is the highest decision making body of the organization. The Conference is held every two years. 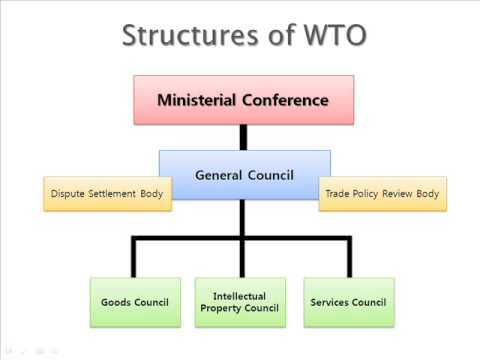 In between the Ministerial Conference, the affairs of the organization are managed by the WTO General Council. The 10th WTO Ministerial Conference will be held in Nairobi, Kenya from the 15th -18th December, 2015.